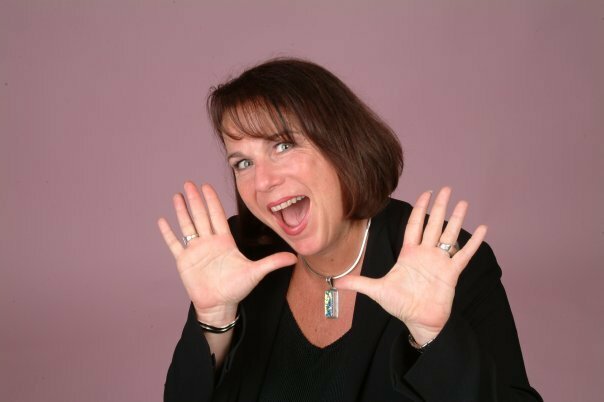 Kathleen Ronald, “Queen of Business Networking,” is an unparalleled networker, an internationally renowned speaker-trainer, and the founder of Speaktacular. The moniker aside, Kathleen asserts, “you network computers, but you connect with people.” With a lifelong reputation for uniting people and building communities, she has founded successful networking groups, Fortune 10/10 (a women’s investment group), and WOW (Women of Wealth) Ventures and co-founded WIN (Women in Networking). Thousands of people who are high-tech, low-tech, and no-tech-at-all have reaped the powerful benefits of Kathleen’s Speaktacular presentations. Her audiences consistently rank her number one at conferences and conventions. With an electrifying, comedic style all her own, she delivers empowering programs that not only motivate but also produce bottom-line results. Kathleen has devoted 25 years to helping organizations redefine their ideas of what’s possible. For more than a decade, companies and solopreneurs have hired her as a culture-change consultant, resulting in first-year revenue increases of 20 to 50%. Passionately involved in many communities, Kathleen gives of herself generously, often taking on volunteer roles, charitable work, and corporate board positions. She recently served as vice president for the National Association of Women Business-Silicon Valley Owners. A dynamo on and offstage, a highly sought-after business consultant, a marketing genius, a record-breaking sales champion—and a recent cancer victor — Kathleen Ronald tells it like it is, with unabashed conviction and contagious enthusiasm.